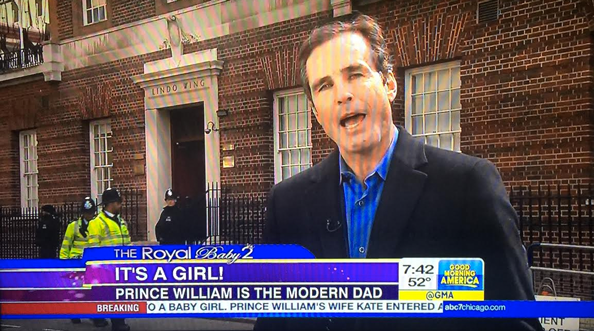 During this morning’s coverage of the royal baby, ABC News‘ “Good Morning America” utilized a special lower third that has visual and textual connections to its corporate parent’s princess movies. 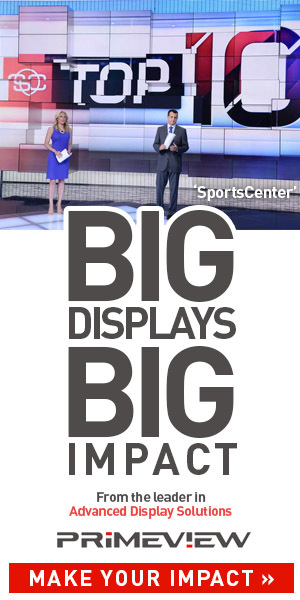 The lower thirds used the show’s normal “ribbon” style but recolored the blue and white to deep purple-blue tones. Atop the normal lower third, an additional tier combined a geometric sans serif typeface with script spelling out “The Royal Baby 2” — almost as if the coverage was the sequel of a Disney princess flick.